Before diving into the individual metrics to include in your social media marketing report, first create a new Google sheet or Excel spreadsheet to track your data. This document will make it easy to share your findings with your team and make your edits live. It also allows you to reflect on changes over time with graphs and bar charts. 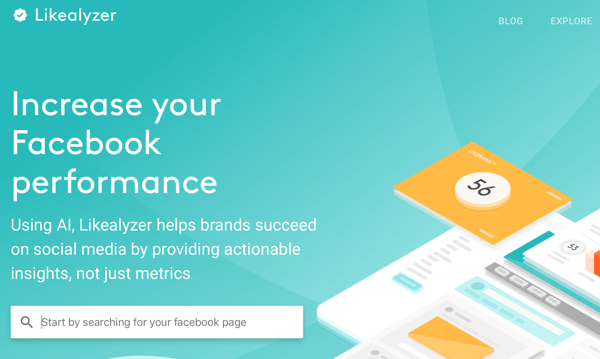 Now let’s look at 10 performance-based metrics that will help you assess and report on your social media marketing efforts. Tracking content metrics allows you to analyze the content you share on social media and spot specific patterns. Perhaps 75% of your posts are image-based and only 25% are video-based. How is that approach working for you? If you follow the 50/50 content rule, you can quickly see the breakdown of original content shared vs. content created by others, such as an article by industry experts (where you tag them in your post) or a reshared post an influencer created for your product. A variety of other content can also fall into this category, including testimonials, reviews, guest posts, publications, and industry infographics. Sharing this type of content can help you attract the attention of potential influencers, showcase your expertise, and generate positive sentiments about your brand. To gather this data, go to your social accounts to see what kind of content you primarily post. 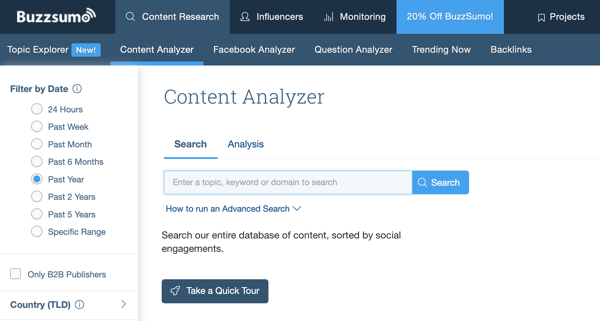 You can also use tools like BuzzSumo and Agorapulse to automatically generate a list of how much and what kind of content you share. 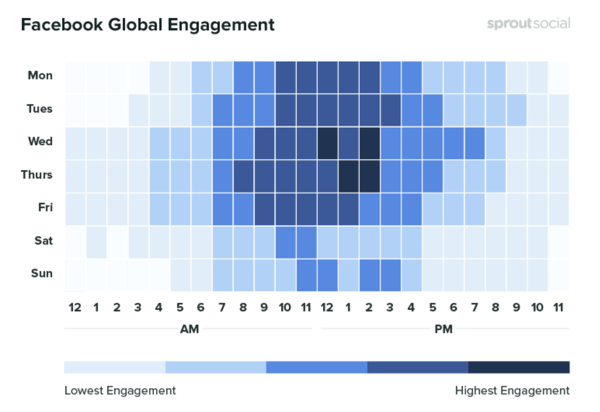 What times of the day do you post to social media? When is your audience engaging with your content the most? Are you consistent in posting content? Are your posts timely and relevant to your audience? Tracking timing metrics will help you pinpoint the best times to post your content and help identify gaps you need to fill. For instance, you might decide to start capitalizing on trendy and relevant topics, or post at different times of the day. In your social media insights, you can check what times and days you’re posting, look for frequency patterns, and view audience time metrics from your social media accounts. Numerous of industry studies are also available to help you determine the best days and times to post for specific industries. For instance, this Sprout Social study recommends the best days and times to post for businesses in the healthcare industry. 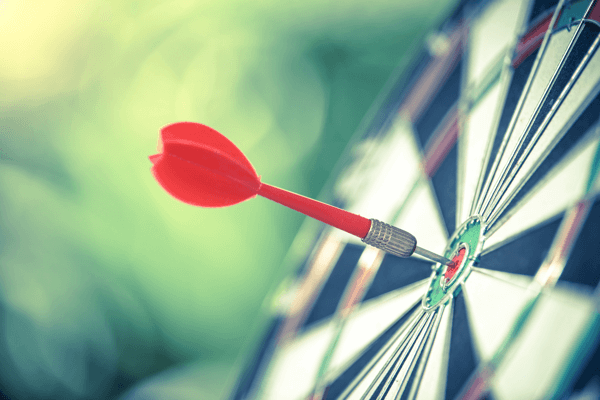 Tracking audience metrics helps you determine whether your target audience is engaging with your content. 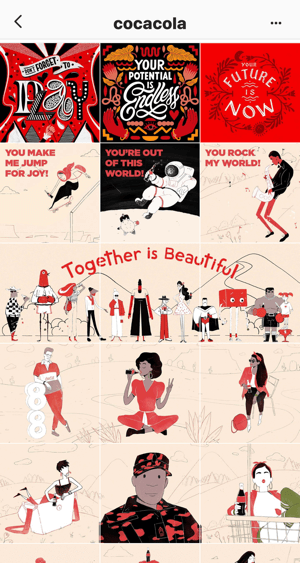 If your customers are primarily 45- to 55-year-old men who live in Seattle, but your Instagram following is 90% women ages 20–50 from all over the world, you have an audience alignment issue. You’re attracting the wrong people with your social media content. Bots can also be a problem. Other than temporarily increasing your likes or engagement, they don’t do anything for you. If anything, they can do more harm than good. When social media networks discover a large amount of bot engagement with your account, they may penalize you for it. Tracking your audience data will help you make sure you have the real human followers you want engaging with your content. I included Google Analytics in this list because your social media audience should match the people who visit and convert on your website. Remember: Know your audience, trace their steps, and make sure the customer you’re trying to target is the same one engaging with you everywhere online. With social media listening, you go beyond just tracking mentions. Dig deeper into what people are commenting and saying about your brand on social media and measure the sentiments of those conversations (positive, neutral, or negative). By monitoring and analyzing conversations, you can determine how to respond as the brand, and address customer issues or give thanks and praise when needed. You can also try to keep up with the conversation manually by following your brand hashtags and @mentions, but keep in mind that not every user includes that info in their posts. Taking a peek at what your competitors are doing on social media can be beneficial to your own social media marketing. But don’t think of your findings as rules to follow. You don’t know how successfully your competitors’ social media efforts are contributing to their goals or how these tactics would work for your business. Instead, use the information you glean from your research to generate new ideas, strategies, and tactics to try. To check out the competition on social media, follow your competitors’ accounts so you can view their posts as users do and their ads. Note what type of content they’re sharing and whether they’re using any advanced strategies like working with specific influencers. Tools like Likealyzer, Phlanx, SEMrush, and BuzzSumo can help you get a more in-depth look at the competition. Usually, engagement metrics are the first place businesses look to judge the performance of their social media marketing efforts. However, unless your specific goal is to increase likes, the engagement metric only adds to the overall picture. You can find engagement metrics in the backend of your social media page insights and manually count the data, but I don’t recommend that. It’s easier to look at the data collected by social media scheduling tools like Hootsuite, Sprout Social, or Agorapulse. Is social media one of your top traffic drivers? 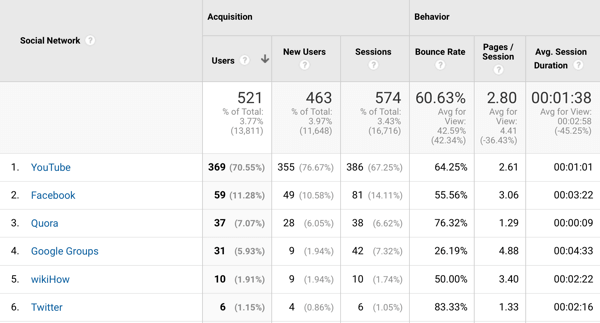 What’s your bounce rate for social visitors? For example, are visitors leaving your site right away and heading back to Facebook? If so, your social messaging likely isn’t aligned with your website content; in which case, you need to make some adjustments. Ultimately, you want your social users to take action. Those actions tend to have the most impact on your website, product pages, and form completions. You want to track what’s happening when a social user clicks on a link post and heads to your website. Do visitors fill out your form or click around to multiple pages on your site? Analyzing this data can inform your approach to social media link posts. The importance of branding metrics is to measure how well your social posts align with your brand. Is your brand voice clear and consistent from caption to caption? Do the images you share on your social channels use the same filter or have a similar feel to them? Do your posts use the right brand name? You’ll need to evaluate your branding on social media to ensure your social media posts align with your branding guidelines. 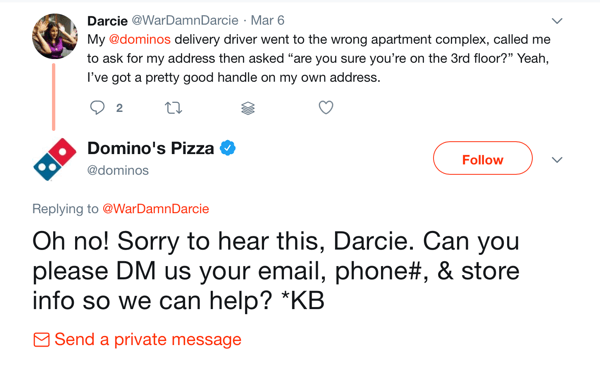 If you discover a January post used an abbreviation for your company name and a February post spelled out the full brand name, you need to address that inconsistency going forward. Find a comfortable rhythm for how you brand your social content and stick to it. Users will notice if things start to veer from your brand’s style. How Many People Are on Your Social Team? How Often Is Reporting Done? Who Is in Charge or Reports on Findings? Any Correlation Between Team Size and # of Goals Achieved? What Is Average Response Time to Post Engagement? What Is Average Response Time to a DM or Message? What PR Issues Have Come Up and Who Handled Them? You don’t need specific tools to track this data. Feel free to expand on your answers to the questions above to ensure you’re thorough. Tracking this information will help you find patterns in your social media management that affect your marketing efforts and how successfully you meet your goals. Goal and summary metrics are the last data to measure in your report and the most important. Does any of the data you gathered above align with your goals on Instagram, Facebook, LinkedIn, and/or Pinterest? Make sure your goals have a what and a how, not just a what. To illustrate, rather than set a goal to increase Instagram engagement from March to April, set a goal to receive at least 150 engagements on each Instagram post, posting once a day for 30 days. Once you’ve set your goals, look at the data and see what you’ve accomplished. If you reached your primary and secondary goals and have tons of data to prove it, you’re ready to create new goals and up the ante on social media. If you didn’t accomplish your primary or secondary goal, what did you learn? Perhaps Pinterest doesn’t serve your overall objectives and it’s time to abandon your marketing efforts on the platform. Or maybe you discovered that your image posts just aren’t performing well anymore and you’d be better off focusing on creating video content. A social media audit is different from just looking at engagement and reach. It requires checking all of your social media marketing efforts, as well as analyzing your tactics and your competition. I recommend scheduling time to audit your social media marketing on a quarterly basis. This will ensure you have enough useful data to make important decisions. Plus, the timing will allow you to make any necessary tweaks to your social media marketing as you head into the next quarter. What do you think? When was the last time you reported on your social media marketing efforts? 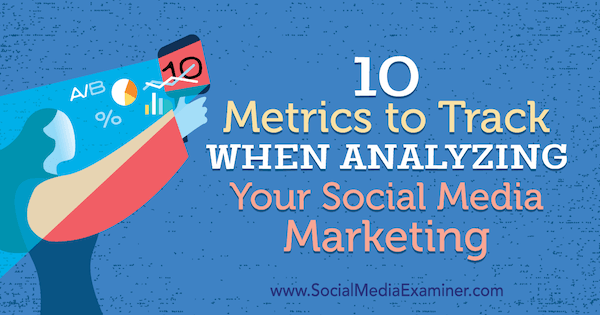 Do you plan to start tracking these 10 metrics on a more regular basis? Please share your thoughts in the comments below. Ashley Ward, international speaker and Digital Marketing Strategist at SEMrush all-in-one digital marketing tool, helps businesses and marketing professionals gain long term ROI through teaching content and social media marketing techniques.